Black Friday and Cyber Monday are behind us, but if you are still working on your holiday shopping then you may be thinking about the risks associated with online payment options. Just in time for the 2016 shopping season, the PCI Security Standards Council recently announced changes to the Payment Card Industry Data Security Standard (PCI DSS). While usually associated with retail and financial services, PCI DSS compliance is in fact a challenge that crosses industries since online transactions are essential for any digital business. 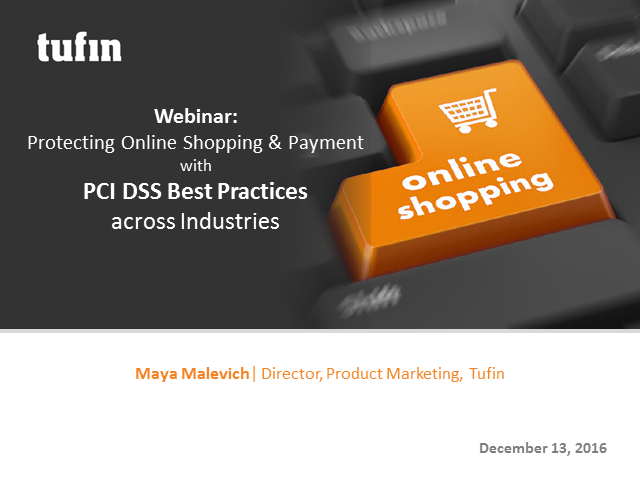 Join this webinar to learn how leaders from different industries are running network security policy orchestration to ensure continuous compliance with PCI DSS requirements.